The Chama members’ contributions are just one of the things a Chama must rely on for financial support. The Chama treasurer’s role is vital to a Chama. The ability of the Chama to run smoothly is dependent on the financial stewardship of the treasurer. Even though Chama members who accept the position of Chama treasurer may have little or no background in accounting, they must understand at least key things to carry out their duties. A Chama treasurer must know what every outgoing expense is. Whether it’s operational costs, buying goods or reimbursing a member, it must all be accounted for. 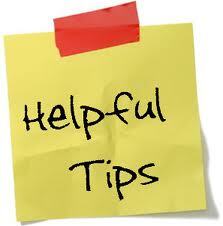 A best practice in this regard is to record transactions immediately to prevent any kind of mix-up. Just as Chama treasurers must know everything about what’s being spent, they must also know everything about what’s coming in. Chama treasurers must record all payments received, such as dividends from shares, rent from rental houses and money collected from member collections. Chama treasurers must have a dependable record-keeping system. They must keep back-up copies of all records and make sure they get receipts for everything. If the Chama has various committees, each one of them will have an operational budget and be responsible for monitoring that budget. The treasurer must know each committee and each member of them and keep in regular contact. The treasurer plays an important role of working out the Chama’s budget for the next financial quarter. Again, provided the Chama records are up to date, the treasurer should be able to make informed decisions about where the Chama’s money can be better spent, what areas need more, what areas could manage with less. Always have two people present whenever cash is around. Make it a rule that two people tend the collected cash, even if it’s only a one-person job. Likewise, always have a least two people on hand when cash receipts are counted. After the cash is counted, have the counters each initial a form certifying how much money is being turned over to the treasurer. Never let cash or any receipts sit for a few days. Members’ contributions should be deposited as soon as they’re counted, certified, and turned over to the treasurer. Tell Chama members who say they will pay their monthly contributions later that you can’t let them. Never mingle Chama money with your own. Don’t ever, for example, deposit Chama money in your account, then write a check to the group for the same amount. And never float a loan to the group, and then take the money out of cash receipts as repayment.